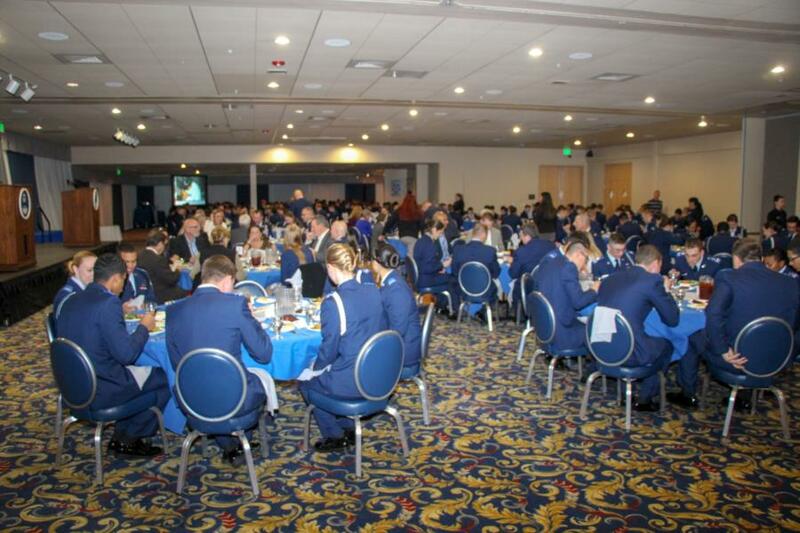 The 2019 Prep School Exemplar dinner was held on Friday, January 25th at the Falcon Club on the grounds of USAFA. 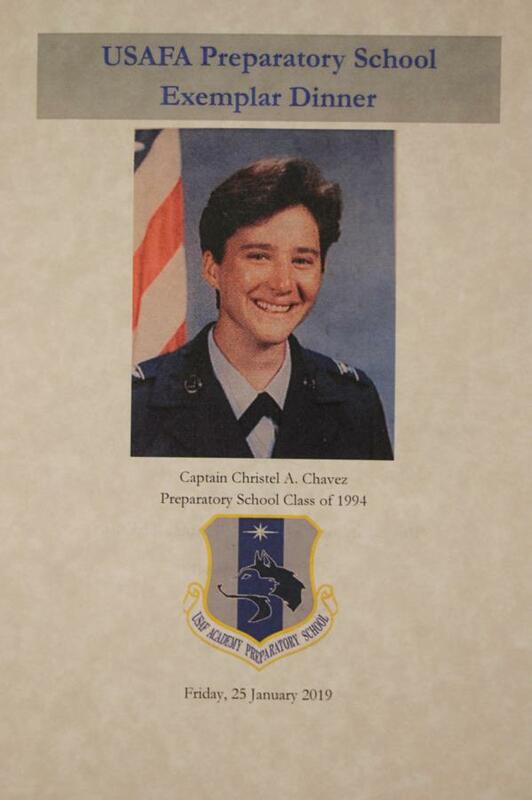 The Exemplar chosen was Captain Christel A. Chavez. Captain Chavez is only the second female and one of a handful of Captains that have been chosen for this prestigious honor. 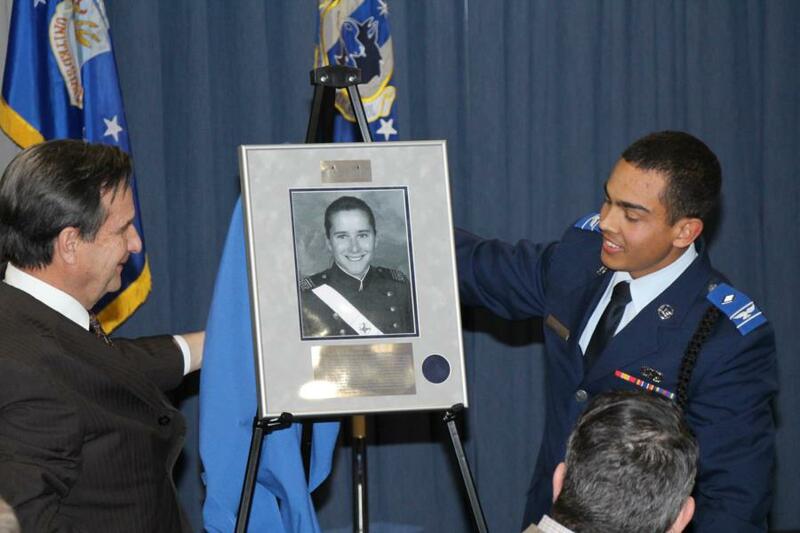 Each Prep School class of cadet candidates selects a past leader of character whose life and career epitomize integrity, service, excellence, and character traits they wish to exemplify. 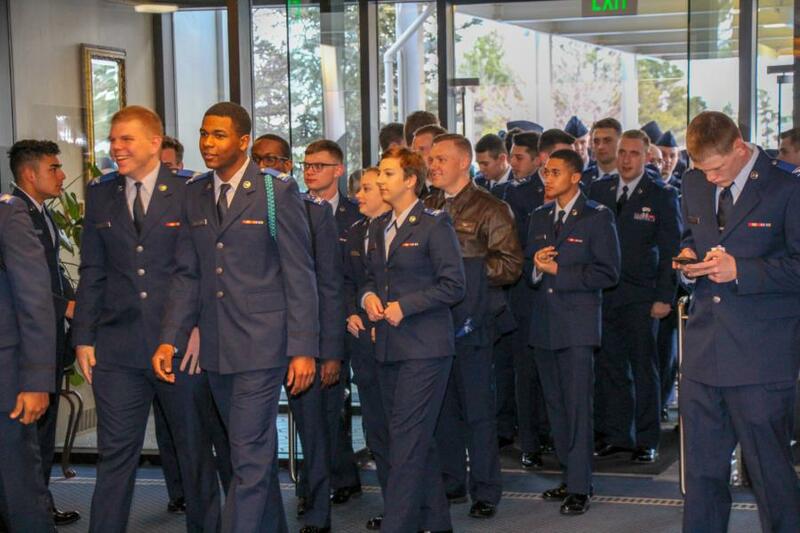 The Exemplar Program formally celebrates the individual chosen by the class, and memorializes the class’ affiliation as they journey to becoming leaders of character. 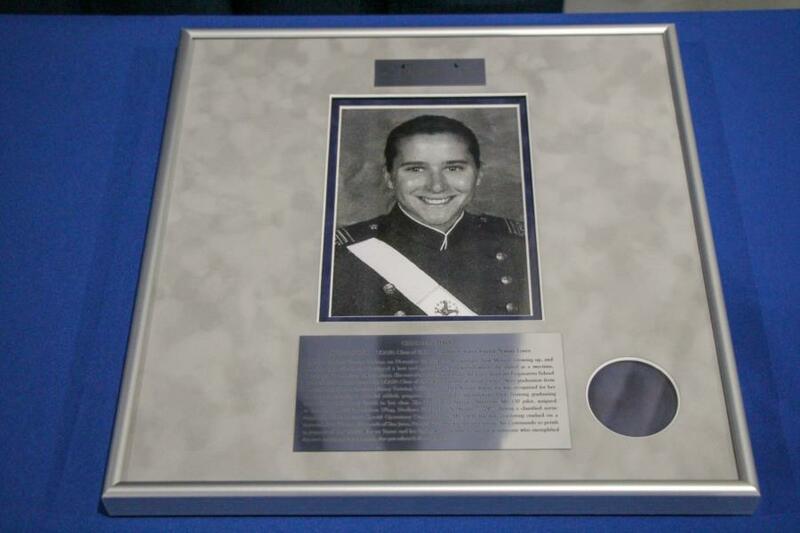 Plaques are placed on permanent display in the Exemplar Hall showcased in the dining facility (DFAC). 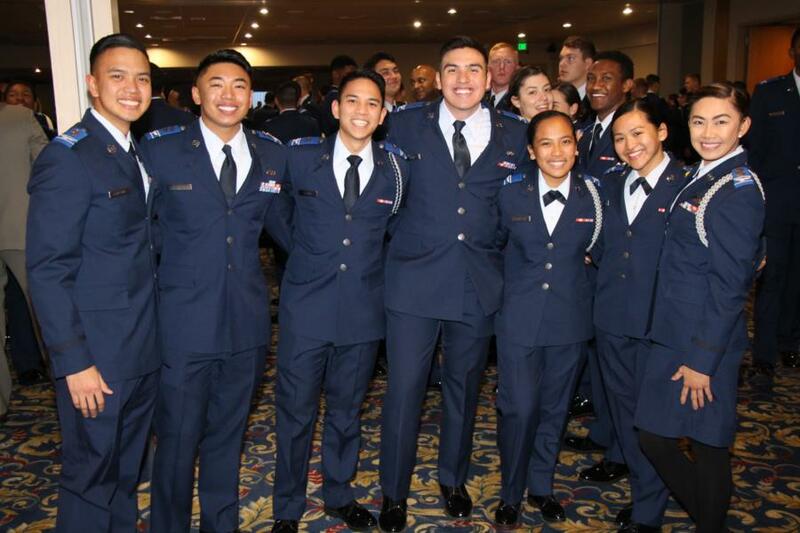 The history and purpose behind the Exemplar Program is to provide a clear and visible attachment to the great leaders of the past for a new generation of leaders who will face new challenges in the next millennium and beyond. The Class Exemplar serves as the honorary leader of the class, setting its personality and character. 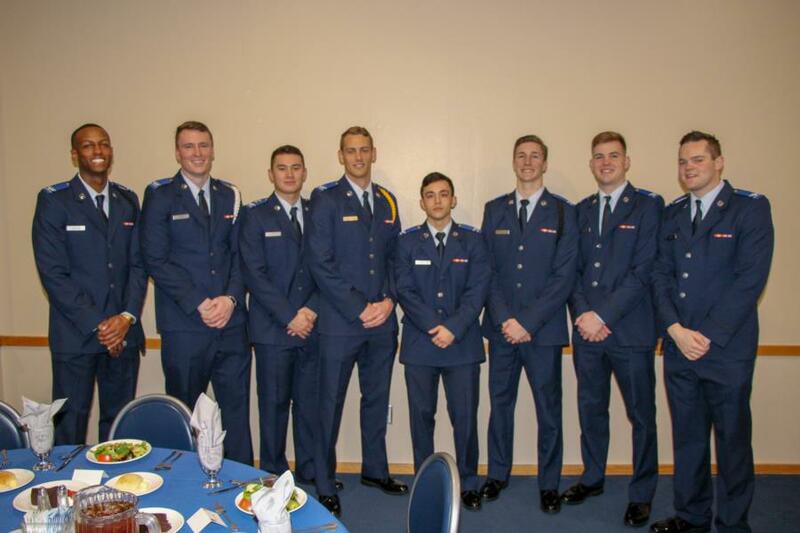 The Prep School staff, cadet candidates, friends and family of Captain Chaves were all in attendance to honor Captain Chavez. 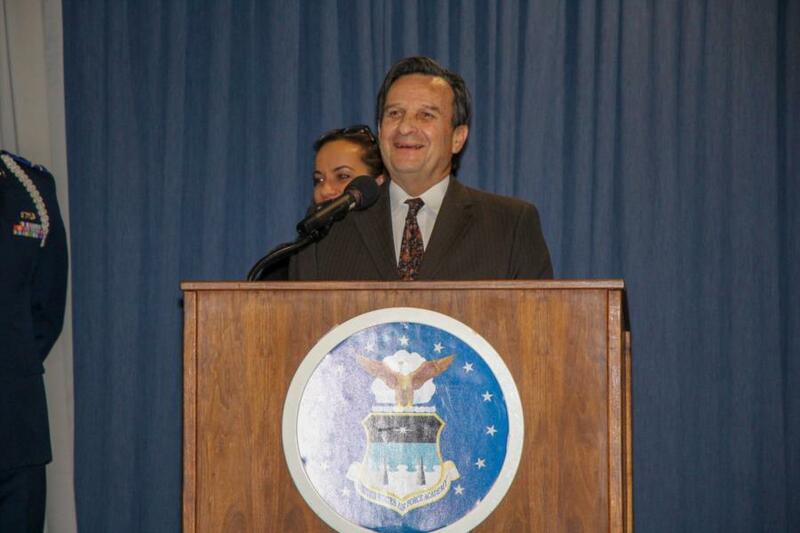 The Keynote Speaker was Mr. Karl Falk, a friend and classmate of Captain Chavez at both the Prep School and USAFA. 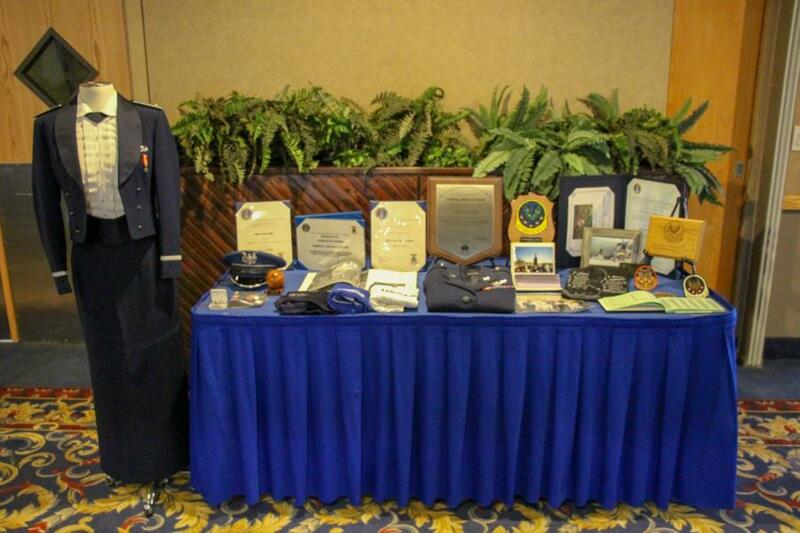 Karl graduated from of the United States Air Force Academy in 1998 and became a Finance Officer (65F). 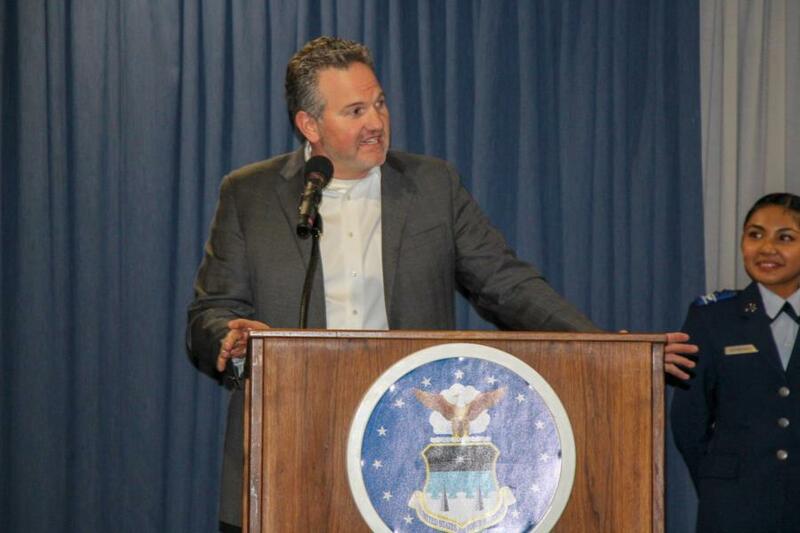 After serving as a Company Grade Officer, Captain Falk transitioned out of the Air Force in 2004 into emerging technology consulting. Finding innovative ways to expedite low TRL technology from the DoD labs and National labs to the hands of operators and soldiers in an effort to save lives post 9/11. Karl is a sought-after speaker on innovation, entrepreneurship, and efficiency and speaks nationally to help inspire others to spark change. 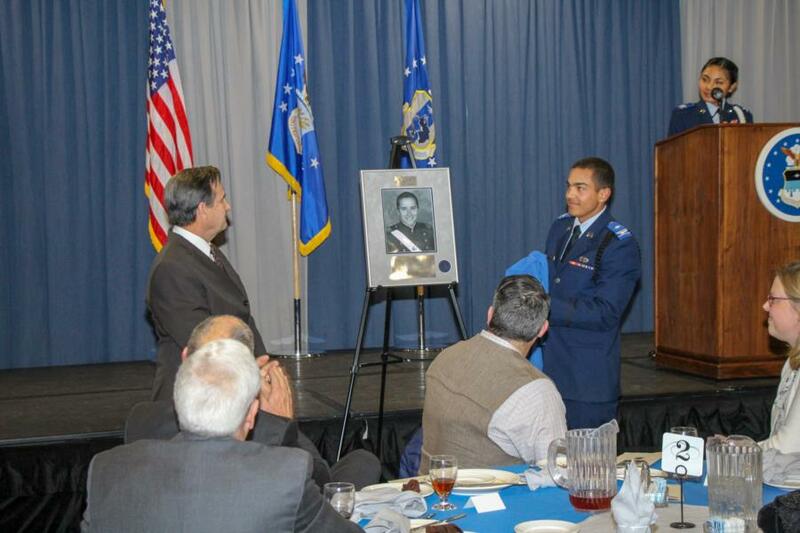 Also speaking to the audience was Captain Chavez’s sister and father along with the Commander of the Prep School Col. Timothy Thurston. Christel Chavez was born on November 19, 1974, in Albuquerque, New Mexico. Growing up and in high school, she developed a love and great skill for basketball, where she played as a two time New Mexico All-State Player. 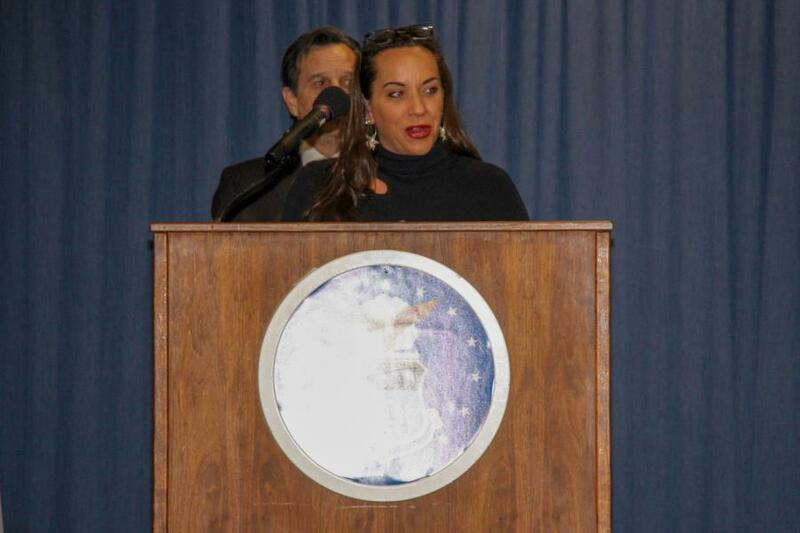 She attended the United States Air Force Academy Preparatory School Class of 1994 and graduated the USAFA Class of 1998 with a degree in Social Science. After graduation from the Academy, she served as a Military Training Officer at the Prep School, where she was recognized for her expertise in training a remedial athletic program. 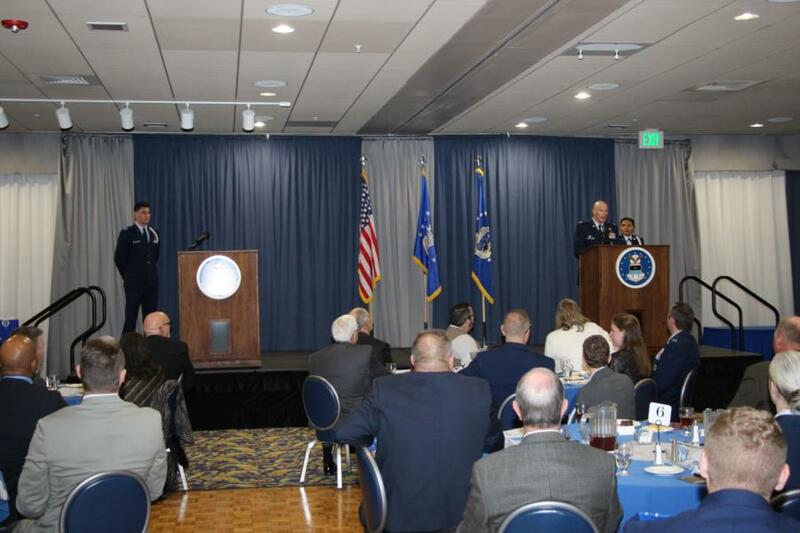 She attended Undergraduate Pilot Training graduating successfully as the only female in her class. 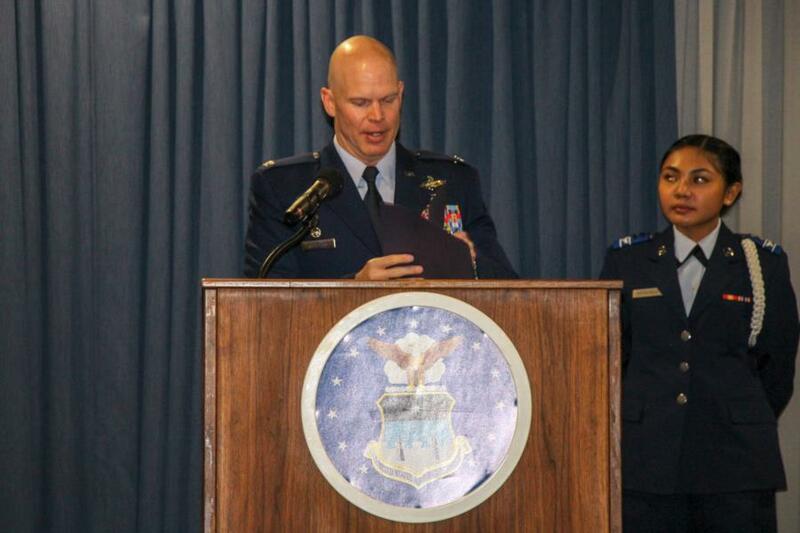 She served as a Special Operations MC-130 pilot assigned to the 16th Special Operations Wing, Hurlburt Field, Fl. On August 7, 2002, during a classified sortie supporting the Air Force Special Operations Command, the MC-130H she was co-piloting crashed on a mountainside fifteen miles south of San Juan Puerto Rico. She was the first female Air Commando to perish in support of the Global War on Terror and her legacy will continue to live on as someone who exemplified the core values and as a person who put others before herself. 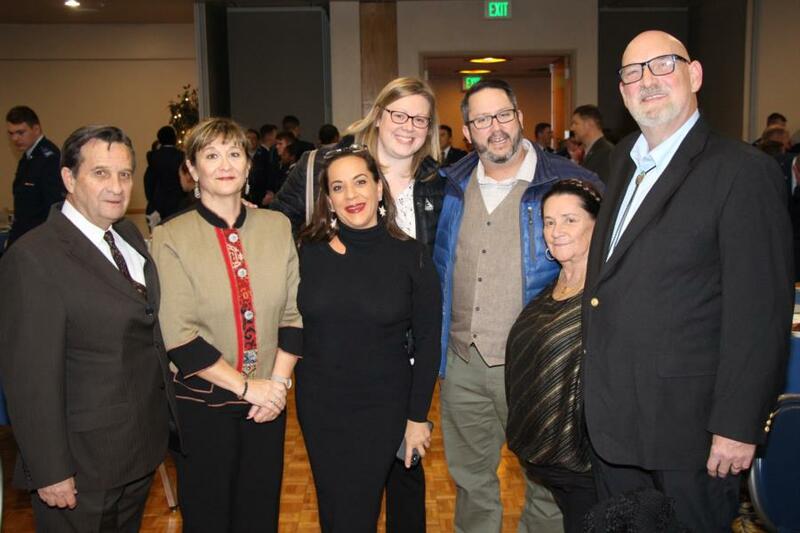 To view the rest of the pictures from the Prep Exemplar dinner go to Classes > Prep School > Prep Life. Or click on the link below.